According to Fish Radio and Forest Bowers–the Regional Fishing Manager at Dutch Harbor, Alaska, Bristol Bay’s Red King crab season was almost wrapped up as of December 9th. Out of 77 participating fishing vessels, 66 were done and checked out with 11 still out at sea pulling crab pots. With 98% of the TAC in, Bowers stated that although the number of crabs per pot was down–22 to 23 average crabs per pot compared to 28 last year–the crabs were larger, shell condition looked good, and meat-fill was high. 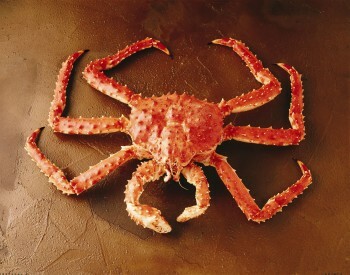 Prices for the highly desired Bristol Bay crabs also topped $5.00/lb compared to $4.19 last season. Coming up next for Dutch Harbor crabbers is Snow crab season, traditionally fished in January.